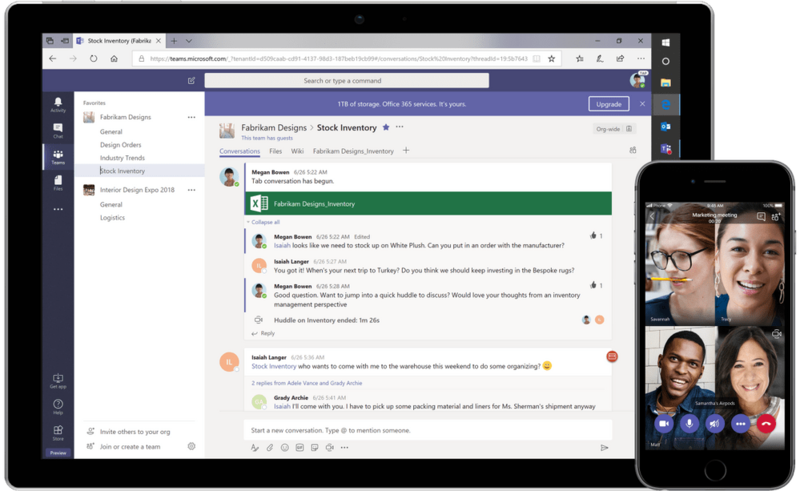 Microsoft Teams is a collaboration and group chat productivity software from Microsoft that combines workplace chat, meetings, notes, files and attachments into one shared workspace. Teams replaced Microsoft Classroom on Office 365 Education, as well as Skype for Business as their primary teamwork software. Other services that are similar to Microsoft Teams include Slack, flock, Trello, Ryver, Google Hangouts and Asana. Microsoft Teams was previously available exclusively for subscribers of Office 365 office productivity suite. In order to better compete among competitors and introduce Teams to more users, Microsoft has offered a new free plan which allows potential customers to use and preview the Teams app without charge, for life and without commitment. The free Teams plan is aimed at small and medium-size businesses and enterprises, and is free for up to 300 users. The free Teams lacks features such as scheduled meetings, meeting recordings, phone calls and audio conferencing, advanced auditing and reporting and support, most of it not really required for daily usage of Teams. For small businesses and medium sized enterprises, the main limitation is likely to be restriction of maximum 2 GB of storage space per user. To expand the file storage, the user has to be upgraded to premium commercial license, or use the 10 GB of shared storage. To sign up for Teams free plan, visit https://products.office.com/en-us/microsoft-teams/free, and use your corporate or consumer email address to get started. If you’re an existing Office 365 commercial customer, you will be routed into a managed experience for existing tenant. And all Office 365 subscribers who don’t have a Teams license as part of their Office 365 plan will be eligible for a 1 year free trial. Microsoft Teams is currently available in more than 150 markets and 35 languages.